Le Sirenuse is an 18th-century villa that was converted into a hotel in the 1950s; as a result, it provides the comforts of a luxury hotel while still maintaining the atmosphere of a private home. The seasonal beachfront property overlooks Positano village and is open from mid-March until the end of October and takes advantage of the mild, dry weather along the Amalfi Coast. Guests can get out and about on the boats, go sightseeing, hiking, or shopping in the area or simply lounge by the pool. The Sirenuse Aveda Concept Spa opened in 2000 and is focused on providing a modern attitude for rejuvenation. Highlights include services for the face and body. The hotel's modern, minimalist decor carries over into the 250-square-meter spa. Facial and body treatments using Aveda products are the focus of services. Couples are especially catered to here, with facilities and services just for them, including the signature massage with male and female massage therapists. Other treatments tailored for guests include sports massage, Hydrotherm, and a four-hand massage. The spa's fitness center offers personal training. Children and teens are not allowed in the spa area, and day clients are not accepted. 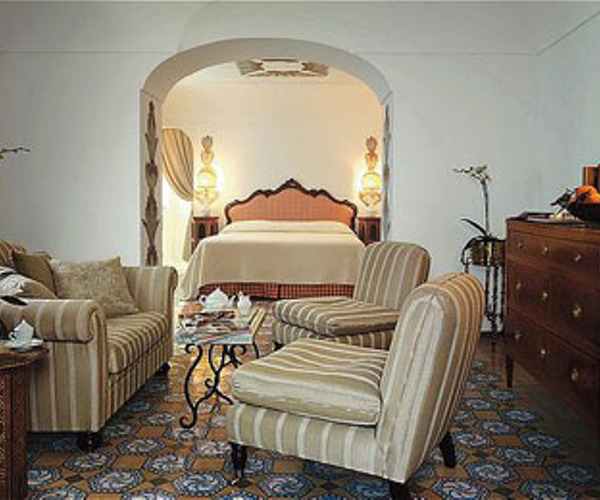 Sitting rooms throughout the hotel are decorated with rare tropical plants and old master paintings. The hotel's main terrace has a heated 150-square-meter pool with views of the coast and village. Guests can go snorkeling along the Amalfi Coast or take a ride on the Riva Aquarama, the hotel's speedboat, or the Sant'Antonio, a wooden vessel that holds up to 13 guests for complimentary coastal excursions. Guests can also climb the steep mountains behind Positano amid the beautiful natural scenery. Shopping for the latest fashions and hand-blown glass is available on-site as well as in the village. Most of the 63 guest rooms feature a private terrace or balcony, white-washed walls, vaulted ceilings, and handmade tile floors. 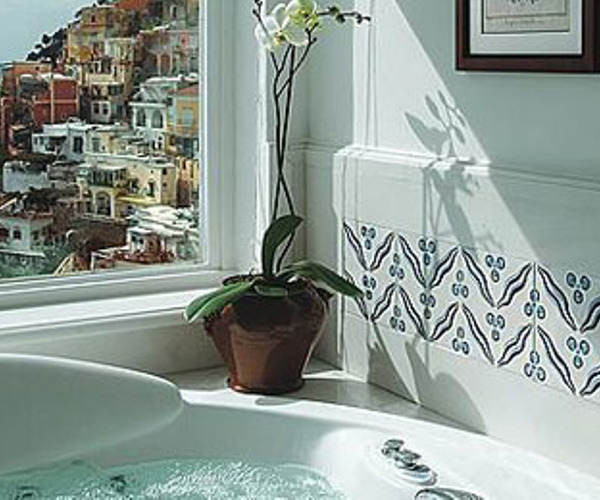 Nearly all rooms and suites overlook the bay of Positano. Rooms range from standard rooms on the lower floor to two-bedroom suites on the upper floor. Guests dine indoors or out; the Pool restaurant features regional cuisine in a classic outdoor setting, and the Champagne & Oyster serves seafood and shellfish in a romantic atmosphere on the terrace. Traditional Neapolitan cuisine prepared with local ingredients is served at La Sponda, where 400 lighted candles enhance the experience.